The man at the market explained to me that these are best enjoyed cold with a nice glass of beer. They are also nice cut into wedges and served at apéro with a glass of Lillet. They certainly aroused my curiosity, and I wondered which were best. All of the butchers had them too. 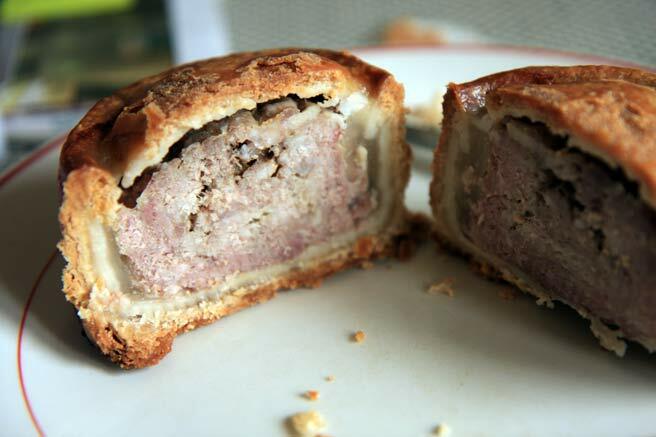 The best thing about pork pies is the pastry! 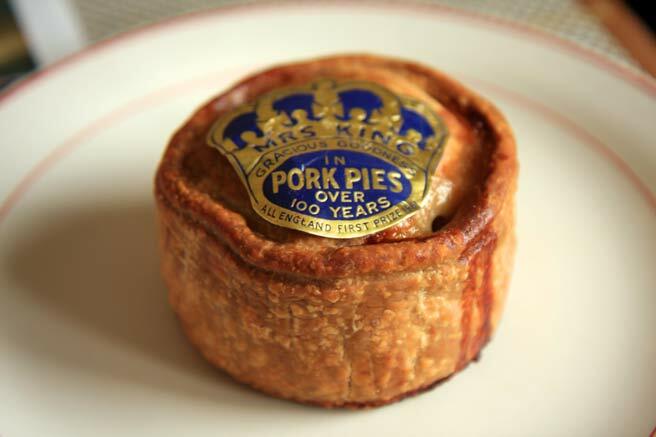 I personally don't like the jelly, but a good well made pork pie is hard to beat. Nice with another English thing, salad cream! This one was nice picnic food. The pastry is made with lard, which makes it have its own special texture and flavor. whoa - how have i been to england multiple times without having one of these? My mouth is beginning to water-what a treat this must have been!